A nursing auxiliary in Madrid has tested positive for Ebola after treating a patient in the Spanish capital, according to Spanish newspaper El Pais. The case is believed to be first in which a person contracts Ebola from a source outside of Africa. While the woman has not been identified, El Pais reports that she is 44 years old, married without children, and originally from Galicia, though she has worked for more than 15 years in Carlos III Hospital in Madrid. She has not left Spain or come in contact with the Ebola virus except for her work in treating Manual García Viejo, Spain’s second Ebola victim and a Catholic missionary who contracted the disease in Africa. Viejo is the second Spanish victim of the disease; the first being a priest, 75-year-old Miguel Pajares, who died in the same hospital after being flown back to Spain from Africa. The newspaper notes that the nurse brought herself to Alcorcón hospital’s emergency room after experiencing a fever, and was tested twice for Ebola, both times with positive results. Co-workers tell El Pais they are shocked by the contamination, given that the hospital used “extreme” protection against the disease. The hospital did not evacuate all its patients when bringing in García Viejo, as doctors believed sealing the infectious diseases ward would be sufficient to keep staff safe. The nurse is Spain’s third Ebola case, and one of hundreds of cases of medical personnel becoming infected with the virus due to close contact with a patient. She is also the first case of a person testing positive for Ebola after coming into contact with an Ebola patient outside of the continent of Africa. While the United States has currently treated five patients, none have so far contaminated medical personnel. Spanish Minister of Health Ana Mato has convened an emergency crisis meeting to address this latest infection and how to prevent other health workers from contracting the disease while still aiding Spanish citizens working private missions in Africa to help those in need. The World Health Organization’s latest death toll estimate is at 3,439, with 7,492 cases on the record. 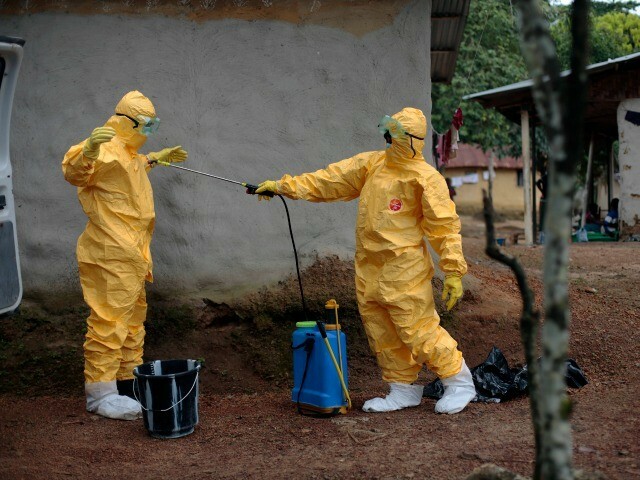 As the WHO has during the extent of the Ebola crisis, it has announced that their estimates are likely extremely low, given the difficulty in entering certain affected communities in Liberia, Guinea, and Sierra Leone to count bodies, and the lack of medical resources to care for the thousands affected.